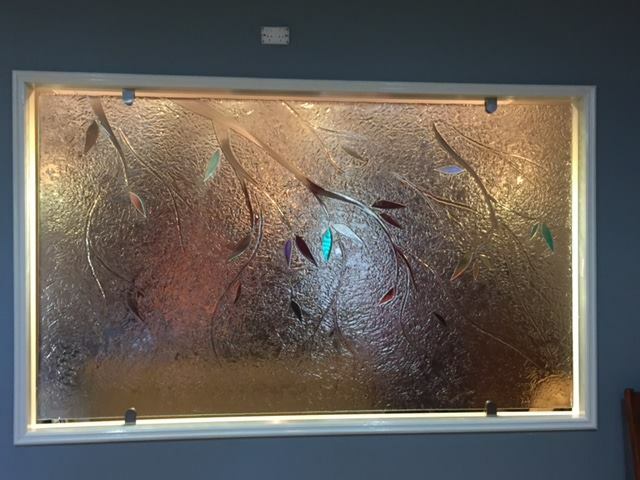 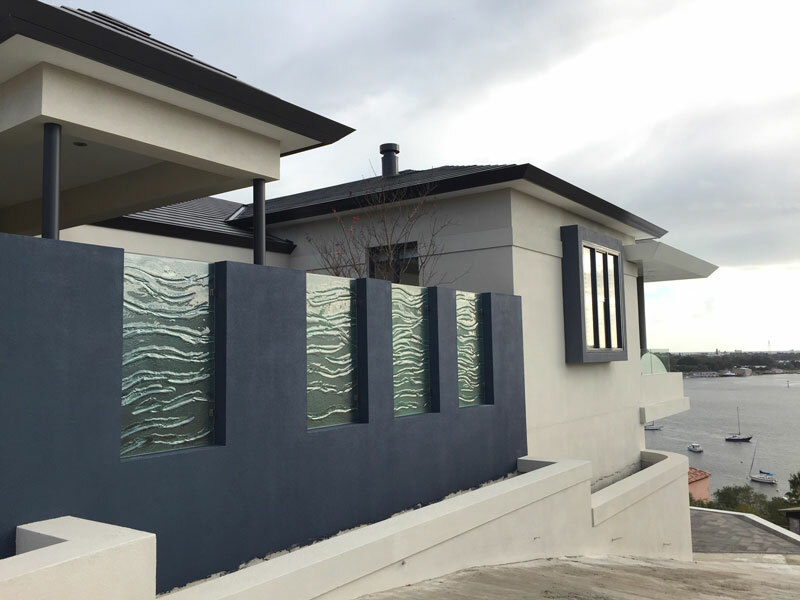 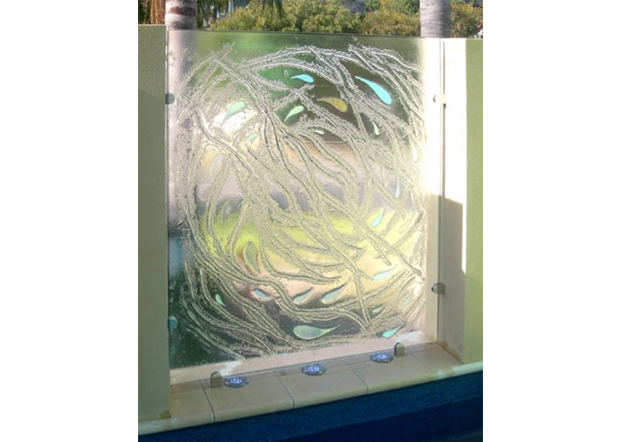 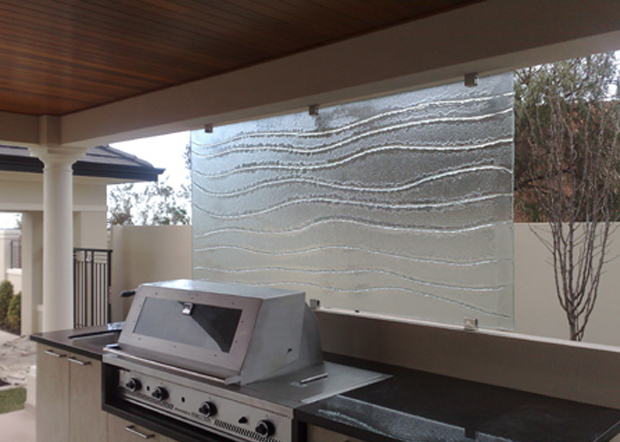 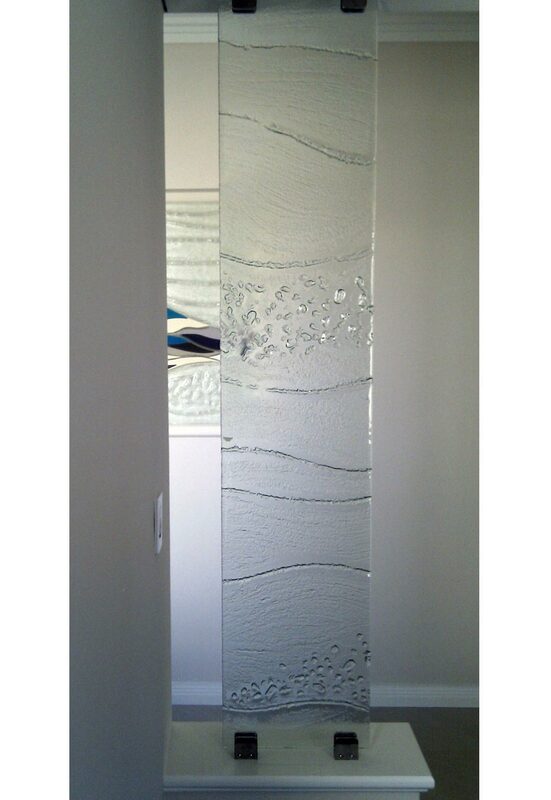 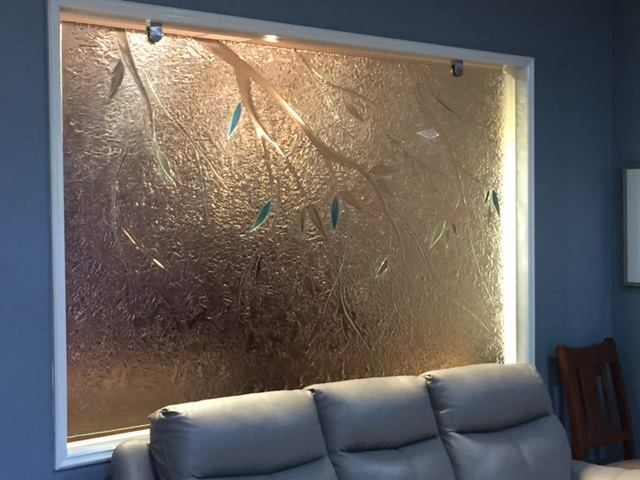 This custom textured float glass with Dichroic detail screen, is 1200mm high and 2500mm wide, approximately 75kg was fitted by Artur and Ian in our eastern suburbs. 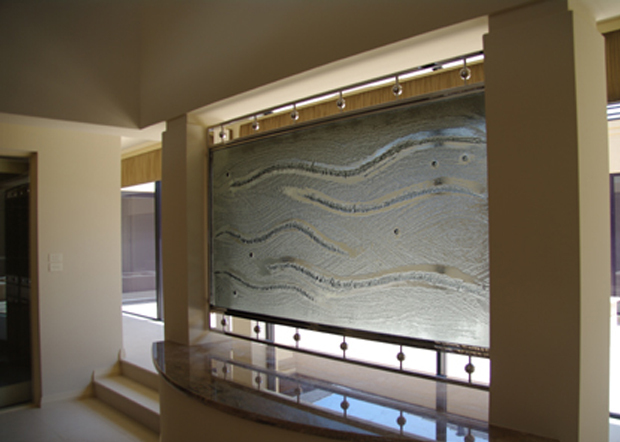 It creates a unique divider between a family area and office space in a private home. 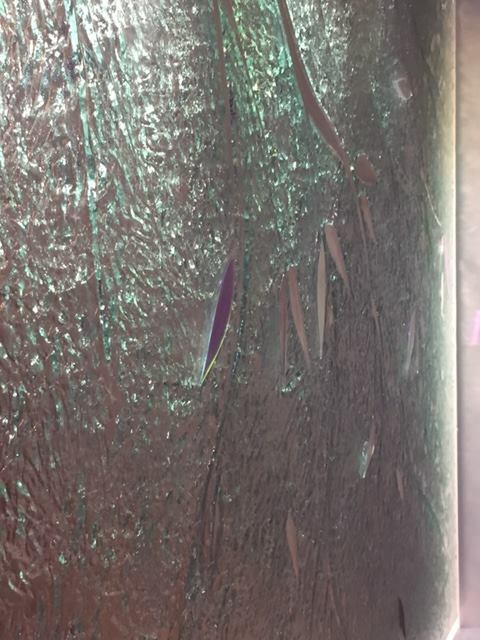 We love how the light catches the bold texture and reflects from the Dichroic components.